While the guest list for the royal wedding is still under-wraps, one person’s presence has been confirmed – Priyanka Chopra. The 35-year-old star, who has been promoting the new season of her show Quantico this week, revealed a few tidbits about her years-long friendship with Meghan Markle. Apart from comfirming her presence at the royal wedding, Chopra also talked about Meghan’s texting habits and why she will be great in her new role. Chopra was talking to Rachael Ray who also asked her if Meghan in ‘normal’. Chopra added that they have known each other for three years now and is happy for everything that’s happened to her. 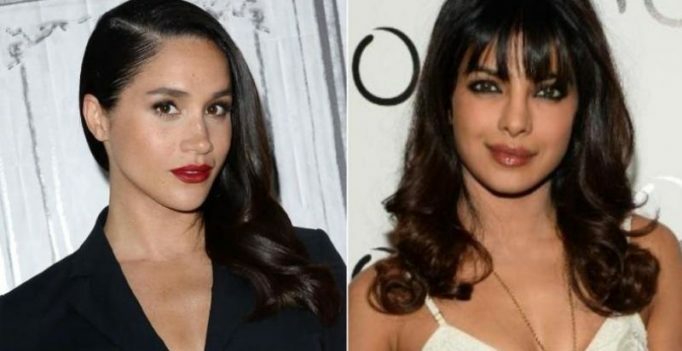 Chopra added that she feels Meghan one of those female icons who could be a strong idol for young girls around the world. The actress also visited The Jenny McCarthy Show, confirming on the radio that she will attend the wedding this month. ‘I’m super happy for her and I just think that — I’m really happy to be part of her big day,’ she said.